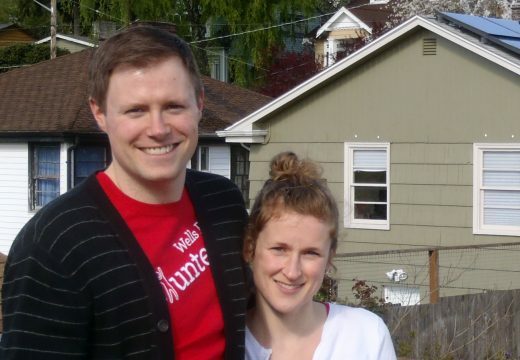 Paying attention to emails from Seattle City Light has saved Melanie and August Kristoferson a lot of money. They started small, signing up for a Seattle City Light sponsored energy audit that showed them how much they could gain from sealing doorjambs and adding insulation to their home. But when they saw an email about Solarize Seattle, it seemed like an even bigger opportunity. “We’d always thought about solar panels as a future cool project,” says Melanie, “but I don’t think we’d have done it so soon without Solarize.” And they didn’t just do it sooner, they did it bigger. 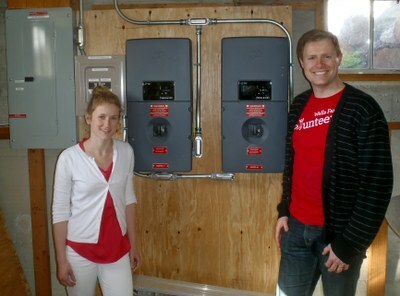 Melanie and August installed so much solar that they had to get a second inverter, which converts the DC power from the panels to the AC used in home electrical systems, just to handle the potential power they’d generate! Combined with the efficiency upgrades they’ve invested in, Melanie and August’s solar system has them well on the way to net-zero energy use!